Size: 2 in. by 1 in. 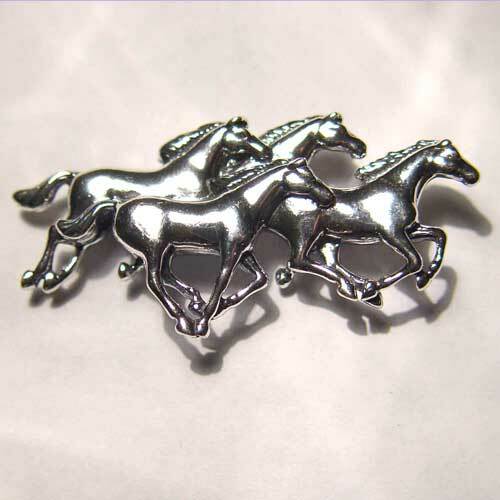 Desc: Sterling silver galloping horse herd brooch. Four horses are galloping together. The brooch has a bright polish finish.